No need to mine for copper these days. 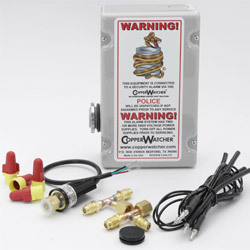 Most businesses and homeowners leave a box full of copper right outside for anyone who may need some cash for a quick fix. 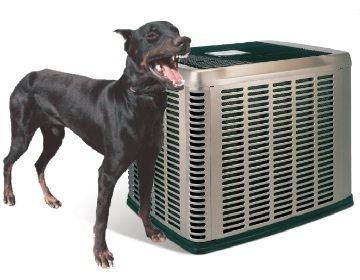 Unprotected air conditioners and heat pumps are being stolen at record rates. There’s no need to lose your Cool. The following 5 tips can help prevent the costly replacement and lose of comfort. Thieves and burglars are notorious for being creatures of habit and looking for easy prey. They don’t want to work hard for their bounty so they will often pass anything that appears to make their jobs harder for something easy. 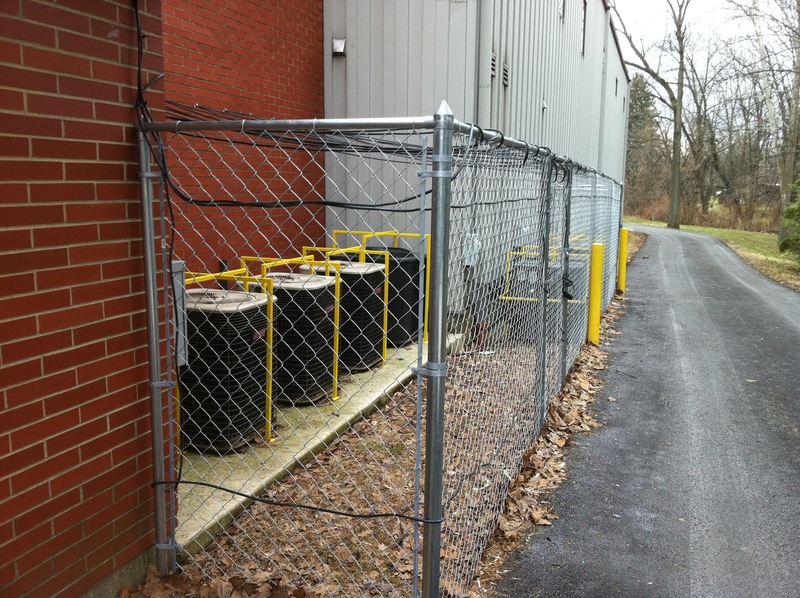 One of our long term customer’s a dental office in Northeast Philadelphia had a outdoor condenser stolen, while only a couple feet away there were two larger units with much more copper, compared to the dental office. The difference was that the two larger units were sitting behind a cyclone fence. The fence was only 5 feet high, but it made the thief's job harder and they passed on the bigger payoff for the easier bounty. The idea is to make your unit hard to see and or reach. We often elevate the installation of the condenser on a platform or on the roof of a building especially in the city. A poplar solution in areas were this is problem is more widespread and the access can’t be prevented is the Air Conditioner Security Cage. The cage works well because it is immediately visible which will deter people from attempting to take it. These cages can vary in price and appearance. A simple utilitarian cage can cost between $250 and $300, while the more attractive cages can increase from there. These steel cages are not easily penetrable and they provide you with peace of mind when you’re away from home. Nothing is full proof, but unlike other preventative measures, the cage is the only thing that can physically stop someone from taking your unit. 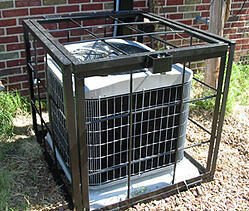 Purchasing an alarm for your air condenser would be a great option if you don’t want to alter the look of your home. Most air conditioning alarms are based on pressure sensitivity, but technology can vary between companies. If purchasing a full alarm system is not feasible, some people choose to purchase an alarm sticker to deter potential thieves. 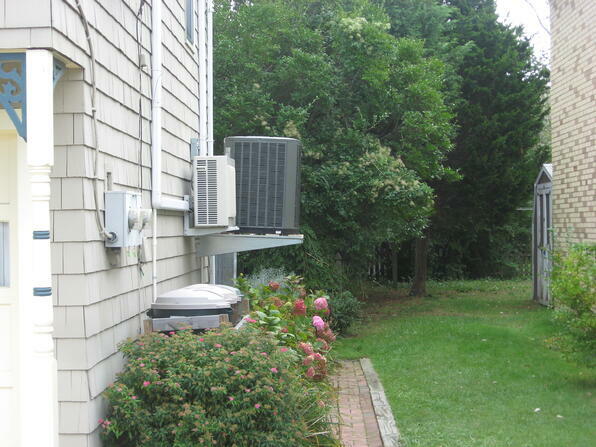 A surveillance system can go a long way in protecting your air condenser unit, as well as your property in general. 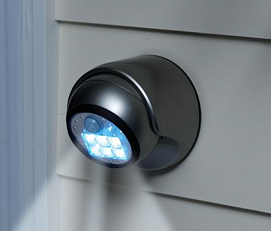 A camera and some motion sensing lights outside of your home will be a strong deterrent. From the beginning of recorded history there are stories of how dogs have used to protect private property. Dogs are loyal and protective by nature, and even the sound of the smallest canine barking has been attributed as a deterrent to burglars. The added benefit is a fun and loving companion for the rest of the family. If you would like our help we would be happy to provide a free evaluation and estimate to secure your system from potential theft. As an additional value ECI and provide a complete system performance and safety check with the installation an air conditioner outoor unit security system. Presented By: ECI Comfort Solutions, a heating and conditioning company that has been servicing the Philadelphia, Bucks County and Eastern Montgomery Counties for over 25 years. 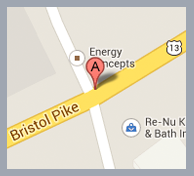 Your can reach ECI Comfort Solutions at 215-245-3200.